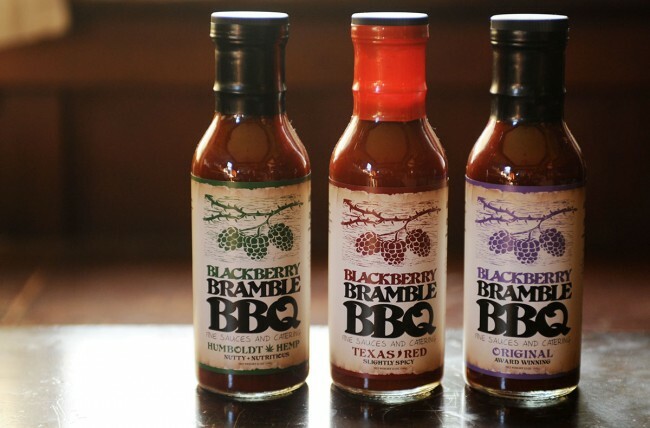 Our Original Blackberry Bramble BBQ Sauce was the beginning of our inspiration. We began giving jars of blackberry BBQ sauce to friends and family, and led to us following the dream of bringing barbeque to the masses. Fourteen years later, in the fall of 2012, our dreams became a reality as our BBQ sauces ORIGINAL, TEXAS RED, HUMBOLDT HEMP were bottled and on the shelves of our local stores now.